Are highly creative people, writers, and artists, also anti-social? Some occupations require lots of time working alone. Artists and writers, in particular, need to spend a lot of time by themselves. Do these occupations attract people who want to avoid people? Is there a mental health problem or personality type that is over-represented in the creative fields? From a counselor’s perspective, people who work alone or prefer to spend time by themselves are not anti-social. We reserve the label of anti-social as in Anti-social Personality Disorder for people who have no empathy for others. An anti-social person takes advantage of others because they don’t care. They are the ones who get the label of psychopath or sociopath. People who prefer to avoid others may have some form of anxiety as in social phobia or they may have an attachment style that results in avoiding others but neither of those personality features involves harming others on purpose. An avoidantly attached person does not expect others to meet their needs and seeks to get their needs met by solitary activities. 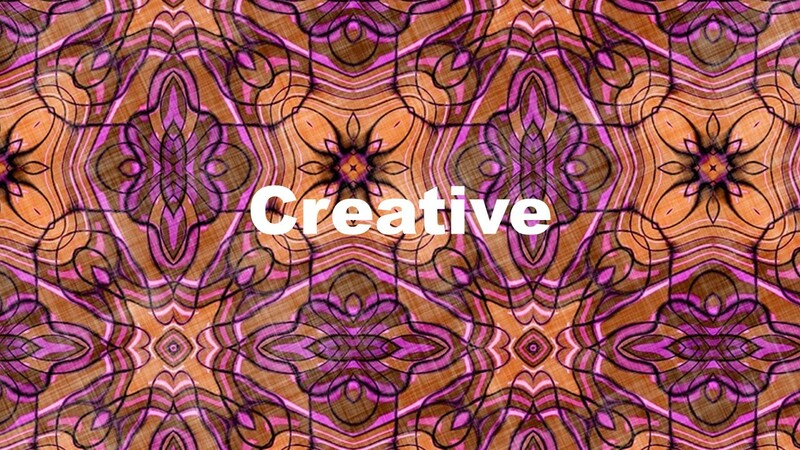 A creative person might be avoidant and prefer to avoid all contact with people but that is likely to be rare. To be successful at a creative activity as an occupation they will need to go out and spend time marketing and promoting their efforts. Avoidant people are not likely to be willing to do that and are likely to believe that others will not like them anyway. Someone with social phobia would like to be around others but because of fear, they are unable to be in situations that trigger their anxiety. Anti-social personality, avoidant attachments and high levels of anxiety are not conducive to the risk taking the artistic person needs to genuinely create something novel. But an artist and those of an artistic temperament are more likely to have one particular emotional issue. Many artists are moody. One mental health issue does appear to be correlated with creative temperaments. Kay Redfield Jamison in her book “Touched with Fire” describes the connection between Bipolar disorder and creative endeavors. Those episodes of above average energy and times when the person is “in the zone” fuel creativity. Uncontrolled these episodes can turn into manic or hypomanic episodes and result in the creative person losing control and engaging in risky dangerous behaviors. There are plenty of stories of famous artistic and creative people who had periods of high energy sometimes coupled with risky behavior followed by periods of deep depression. The energetic periods may fuel creativity but in the full-on manic episodes, the person is no longer able to stay focused long enough to complete projects. The artistic fields have had a disproportionate share of individuals with mood swings who became alcoholic, addicted or suicidal. The really productive artists, in the long run, learn to manage their moods with or without help and they keep their emotions in bounds. See also posts on Hyperthymic Temperament, Bipolar Disorder, and Mania. This entry was posted in Anxiety, Bipolar Disorder, Personality Disorder and tagged Anti-social personality, Artistic temperament, Bipolar Disorder, By David Joel Miller, Creativity, emotional regulation, Hyperthymic, Licensed Therapist & Licensed Counselor, social anxiety by David Joel Miller. Bookmark the permalink. Contrast the “avoidantly attached person” to the social butterfly who can’t bear to be alone. That person never seems to be accused of dependence on others for fulfillment. My teenage daughter seems to have no *need* for the company of her peers outside the school day, and some say “Get her to a counselor!” – but her peers can’t seem to function without social contact.. To me it’s healthy to be content to be alone. My belief if it is all about keeping your life in balance. Some days I need to be around people, I do social type work as a counselor. But other days I need to be alone if I am going to get much writing done. KI am happiest when those two aspects stay in balance. An avoidantly attached person -? Is this some clinical term? Never heard it before. Yes it is. Comes from “object relations theory.” The preferred attachment for a child would be a secure attachment. An avoidantly attached child would either expect to be hurt by their parents or to not have their needs met. They would try to do things for themselves whenever possible. An avoidantly attached child might do something wrong to get the beating because at least when being punished their parent is acknowledging they exist. Negative attention can be better than no attention at all. I’m not anti-social, but leave me the Hell alone, I’m writing my new novel because I just published my last brilliant piece of writing. “Mabel, bring me the bourbon. Need more writing courage.” Damn, Mabel’s gone. Who’s going to clean up my mess? Maybe there’s some dope left in the bedroom. Double damn, who’s the passed-out blonde in the bed. Cute, but I don’t remember her from the party last night. Huh! What a blowout!! Makes me depressed now that I can’t remember the details, because the writing is all about the details like that fly on the wall, rubbing its legs together, each filthy limb, covered with microscopic hairs infested with the dust of a billion microbes being feasted upon by all kinds of viral and bacteria deadliness. Oh, that’s disgusting. She rolled over, gulped air and swallowed the fly. “Give me a kiss,” she whispers with eyes, mascara-scarred, and unopened. I flee to Burger Barnyard with my laptop under my arm like Aqualung seeking shelter from the pouring rain of life’s interruptions. Rick is that you? Did they finally let you out? Make sure to take your meds. For those who do not know you they should look for your books. See folks, you can be very creative and deranged. Yes, it’s me and me and him that shall be nameless. I’m NANOing, I’m re-editing a published book. I’m editing a book of short stories due out in two weeks. It has sixty-six short stories from 6 words to 4,000 words and I know, I made my bird count each word. Heck, my cockatiel even wrote one and wants his name on the author page. Write on! Write on!! Brothers and sisters, amen. Write on!!! Please note Rick said “Write on” not “Left on” or “Right on.” I can’t wait for the political season to be over. Get those books out, there are more to be written. David, you amaze me – the timing of your topics is always 100% relevant to some issue in my own life – and given the variety of issues, it’s uncanny how your topic of the day is exactly what was on my mind already. This one really hits home. My very musical and artistic teenage is accused of being “anti-social” and “get her to counseling!” to make her interact more with her peers. THANK YOU for this blog, David! Try “Music therapy” which consists of practice and getting her to play in front of other people. Lots of very famous performers are shy in their private life. Performers, when they go on stage, assume the “persona” of the role they are playing. As long as she can keep her roles straight in her head and is happy at it she should be fine. The trip to the counselor is not a bad idea though. How often does a counselor get to meet a musician?